The Second World War is especially important to fans of Old Time Radio because the conflict lifted the then relatively young medium of commercial radio from simple entertainment to an important source of news and information and helped to unite the Nation in the effort to defeat the forces of tyranny. Looking back, we can see that radio coverage of the War presaged the 24-hour-cable-news and Internet coverage of modern events, and it also demonstrates a glaring weakness of such saturation coverage. The media of immediacy does an incredible job of bringing the home audience into events as they are happening but sometimes lacks the ability to express the historical background information that raises the status of the report from simply what is happening but revealing why the situation is unfolding as it does. The popular interpretation of WWII is that the conflict was about the free peoples of the world coming together to defeat the forces of fascism and tyranny, specifically the territorial ambitions of Adolf Hitler, Italian dictator Benito Mussolini, and the military regime in control of the Empire of Japan. This assertion is hard to argue; however, many scholars point out that more than a reaction to the rise of dictators, the Second World War should be seen as an extension of First World War. As illustrated in The Pacific Story's episode "WWI in the Pacific", the Pacific campaign during WWII is as deeply rooted in the Great War as the European conflict. In fact, the conflict which would become WWII was being waged in Asia long before Nazi forces crossed into Poland. In Europe, the shifting alliances and political machinations that would come to a head with the assassination of Archduke Franz Ferdinand of Austria were decades in evolving, arguably stretching back as far as the Napoleonic Wars. 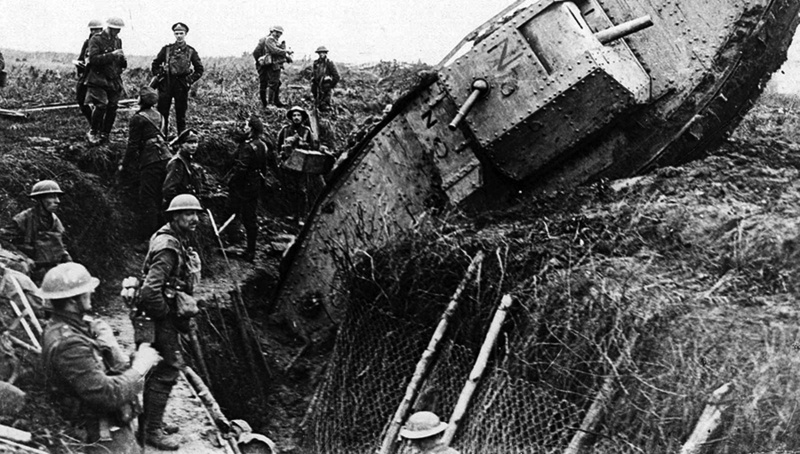 The technology which would lead to the Golden Age of Radio was under development during the Great War, but the War was the crucible which shaped many of the personalities who became important to Old Time Radio. 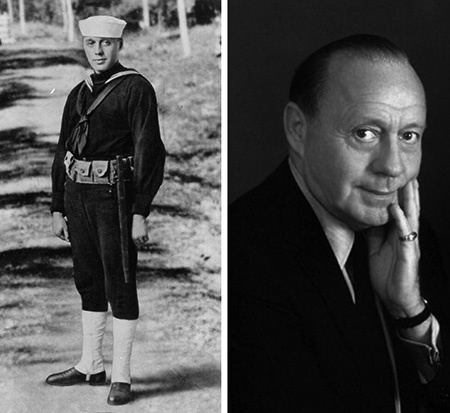 A very young Jack Benny served in the US Navy during the Great War, and he comically shared his experiences with an audience of sailors at San Diego's Naval Training Center. Another vaudevillian who served in the Great War is Jim Jordan of Fibber McGee and Molly fame. Over the years, Fibber refers to his time in France, but why the War Department would be calling Wistful Vista about his service in December 1953 is a bit of a mystery. A more accurate picture of Great War Service and American attitudes about the War comes from The Grantland Rice Story. Granny was 36-years-old when he was caught up in the wave of patriotism that swept the nation and encouraged so many to serve "over there", and when he was commissioned served in several roles before joining the staff of "Stars and Stripes". The horrors of the War extended past the front lines, they came home with the Spanish Flu Pandemic of 1918, as illustrated in Katherine Anne Porter's story, "Pale Horse, Pale Rider", which was adapted for The NBC University Theatre. Another tragic Wartime Romance is seen in the film "Waterloo Bridge", adapted for The Gulf Screen Guild Theatre. As war clouds were gathering over Europe again in 1940, America needed the inspiration of heroes and found it in the story of the Lafayette Escadrille presented by The American Challenge. 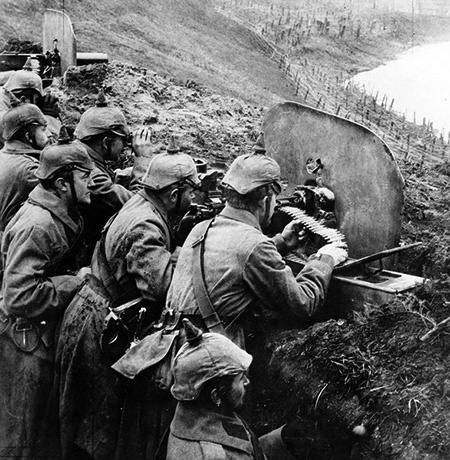 The collection contains a few rare historic recordings including the only known WWI battlefield audio (of a gas bombardment), WWI music, and historic Armistice Day ceremonies. Amazing recordings - hard to believe some of these still exist 100+ years later.